After the joy of Christmas, there is no better way to end it than by crying yourself to sleep. The time of the Eleventh Doctor has come to an end with the 2013 Christmas Special, "The Time of the Doctor", and with it comes in the new Doctor-Peter Capaldi. Ending his four-year run as the Doctor, Matt Smith gives one hell of a last performance and goes out in a bang-literally. For those who have not seen the special, here is a basic recap. Spoilers. The Eleventh Doctor is the "last" doctor. A Time Lord can only regenerate 12 times, resulting in 13 regenerations: Doctors 1-8 are normal, The War Doctor, Christoper Eccelston, David Tennant, and here's where the twist comes in: David Tennant regenerating into himself and zapping most of it back into his amputated hand, leaving number 11 as the 13th regeneration, leaving Matt Smith to die of old age. The crack in the wall (aka the crack in the universe) is a doorway to Galifrey in another universe, and the Time Lords grant him an entirely new regeneration cycle. So in short, we're getting at least 12 more regenerations, and Peter Capaldi is kicking it off strong with his first exclamation being that he doesn't like the color of his new kidneys. Not entirely strange considering the first thing David Tennant noticed was his "weird" new teeth, and Matt Smith excited at the fact that he simply had legs. 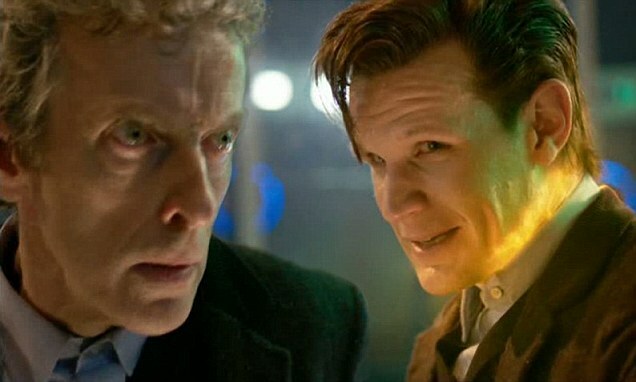 Will Capaldi be able to step into the shoes of Matt Smith? Only time will tell. Doctor Who will return Autumn 2014.